This ancient traditional vedic system of medicine, with a history of more than 5000 years, focuses on the prevention and management of illness by incorporating basic life principles as well as closely relating the human body and its physiological and pathological processes to the inherent principles of nature. Ayurveda is considered to be a complete system of medicine in its own right. Ayurveda treats each human as a distinct individual and recognises that it is related to a unique combination of physical, mental and emotional characteristics known as the tridoshas – vata, pitta and kapha. The imbalance of these tridoshas can lead to emotional, mental and physical discomfort, as well as illness. In order to balance these tridoshas, Ayurveda uses a variety of methods such as lifestyle modification, dietary advice, herbal treatment, massage and its unique detoxification method known as panchakarma. marmas (specific points in the body) and chakras. In addition, biomedical sciences, communication law and ethics, research skills, prevention and management of chronic diseases, business planning and marketing, workplace health and safety, prevention and control of infection, Australian health system, improving professional practice are also covered. Students progress through the course by completing AIHFE subjects that are mapped against nationally endorsed units of competency from the health training package. Upon completion of all the AIHFE subjects and clinical requirements, students will receive a nationally recognised qualification. Students may have to complete more than one AIHFE subject to gain a complete unit of competency. 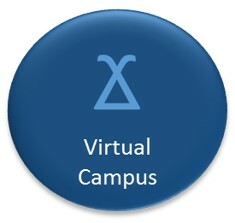 All the theory based units will be delivered via AIHFE virtual campus mode where the students can attend from any destination by using their internet. The lecturers and tutorials are delivered in real time on a structured timetable so that students get an opportunity to ask questions from their teachers and interact with other fellow students. Students are required to complete a minimum 400 hours of supervised clinical training. These clinical sessions are conducted and supervised by qualified practitioners at the student clinic on campus. The clinical sessions will be conducted over a number of intensive sessions to enable students from various locations to gain their required clinical skills and yet with minimum inconvenient. As an alternative, designated clinical schools or clinics across Australia may be accessed, with approval, by domestic students looking to gain clinical experience under suitable qualified practitioners who hold both training and vocational qualifications. In order to maintain the authenticity and the quality of training and assessment, virtual campus students who have gained their clinical skills outside of the AIHFE Perth clinic are encouraged to attend their final term of clinical placement at the AIHFE clinic. This provides an opportunity for students to demonstrate their competency and assessors to identify any shortcomings and provide required feedback, as well as remedial actions. 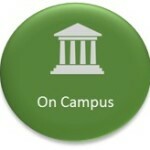 Students can also access interest-free easy payment terms to pay for their tuition fees. For details please contact the college administration. We also offer scholarships for eligible students up to $5000.00 which can be used against their tuition fees. For details about the scholarships or installment payment option please contact the college administration. Most of the graduates set up in private practice or work in multi-disciplinary clinics along with other health care professionals such as doctors, physiotherapists, chiropractors, osteopaths, and psychologists. Graduates can then share the overhead of running the business and also benefit from mutual referrals. Alternatively, some Ayurvedic practitioners establish and or work in health retreats and others become academics in the field. So there are many opportunities a fresh graduate can opt for. A USI must be provided by all students applying for the course and this should be provided in the application form. 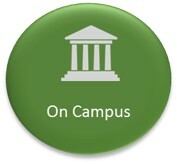 If you need any assistance in obtaining your USI please contact the college administration. The course is designed to be delivered over 2 years requiring about 15 hours of contact study hours per week. Part time options are also available, allowing course completion within 4 years. Since AIHFE virtual classes are conducted in real time, students attend these interactive lectures and tutorials. 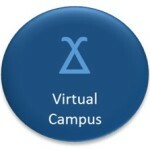 Where possible virtual classes are scheduled in the afternoon or evening to accommodate many working mature age students. Virtual classroom sessions are also recorded and archived for future reference so that students can listen to the lectures as many times they want during the term and also if they miss a live class session. When virtual class rooms are not offered, students may enroll for online classes, where they are provided with all the lesson materials, recorded lectures and are assigned tutors to respond to questions. Supplementary live interactive tutorials will also be offered to support the students and to ensure that they meet the required knowledge and skills. There are 4 terms per year with term holidays in line with school holidays. Students who enrol in January will start with term one subjects, similarly students who enroll in July will start with term one subjects and proceed from there. If you need any assistance with your study plan, please contact one of our staff members. For mapping document and exit points please click here. 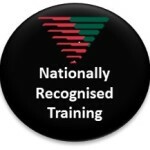 Upon completion of the course, graduates are eligible to apply for memberships of professional associations such as the Australian Natural Therapists Association (ANTA) or other professional membership organisations that represent Ayurvedic practitioners. However Industry association may require additional information and conditions for membership and requirements may change periodically. As such, prospective students are encouraged to contact the relevant professional bodies for current membership requirements. Currently there are no licensing requirements to practice Ayurveda in Australia. 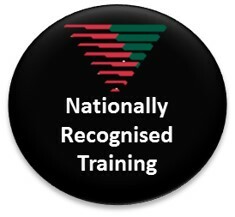 Industry recognition which enable our students and graduates to apply for membership of professional bodies such as Australian Natural Therapists Association. Meets entry requirements and advanced standing in certain degree programs offered by Curtin University, Edith Cowan University and Murdoch University in Western Australia. Post graduate optional clinical experience in Ayurveda at Sri Dharmasthala Manjunatheshwara Hospital in Kuthpady, India.